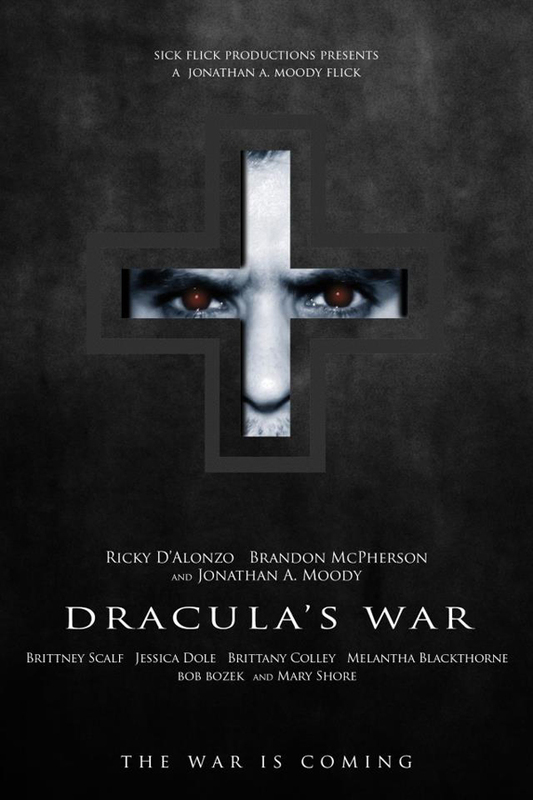 Director Jonathan A. Moody’s film Dracula’s War was announced forever ago (…a few month ago) and I’ve been waiting for more info on the project, but none came, making me think the film had been axed. But according to the Sick Flick Productions’ Facebook Page, the movie is still in the making! So the good news is we have a new vampire film to look forward to, the bad news is that filming won’t begin until October and Dracula’s War won’t be here until 2014. Boo! Check out the movie details below. “Dracula’s War is about a struggle between vampires and hunters who are all descendants of the original characters in the Bram Stoker novel. Derek Van Helsing (Ricky D’Alonzo) and his sister Isabelle Van Helsing (Jessica Dole) team up with Evan Harker (Brandon McPherson) and his sister Ashley Harker (Brittany Colley) to defeat Vladimir Dracula (Jonathan A. Moody), his sister Rosaline Dracula (Brittney Scalf), and his wife Natasha Dracula (Melantha Blackthorne). Character Actor Bob Bozek will be playing the new Renfield and actress Mary Shore is set to play a sweet prostitute Dracula has picked up for evil intentions. For more information check out the Sick Flick Productions’ Facebook Page or the Dracula’s War Facebook Page (which hasn’t been updated recently). How do you feel about another Dracula film? What do you think of the plot of this one?